3 src This contains the .java source files for your project. By default, it includes an MainActivity.java source file having an activity class that runs when your app is launched using the app icon. 5 res/drawable-hdpi This is a directory for drawable objects that are designed for high-density screens. 6 res/layout This is a directory for files that define your app's user interface. 8 res/values This is a directory for other various XML files that contain a collection of resources, such as strings and colors definitions. 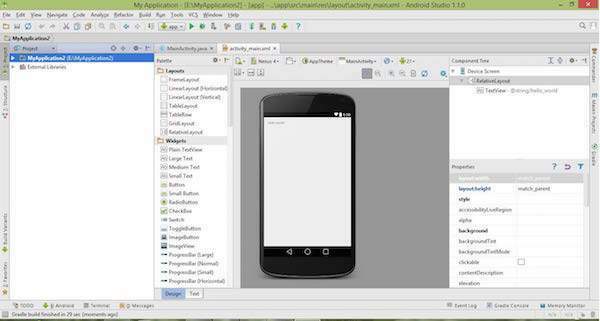 9 AndroidManifest.xml This is the manifest file which describes the fundamental characteristics of the app and defines each of its components. Following section will give a brief overview few of the important application files. Here, R.layout.activity_main refers to the activity_main.xml file located in the res/layout folder. 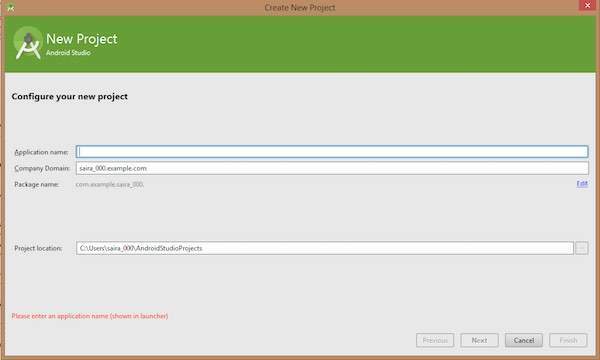 The onCreate() method is one of many methods that are fi red when an activity is loaded. The <activity> tag is used to specify an activity and android:name attribute specifies the fully qualified class name of the Activity subclass and the android:label attributes specifies a string to use as the label for the activity. You can specify multiple activities using <activity> tags. The action for the intent filter is named android.intent.action.MAIN to indicate that this activity serves as the entry point for the application. 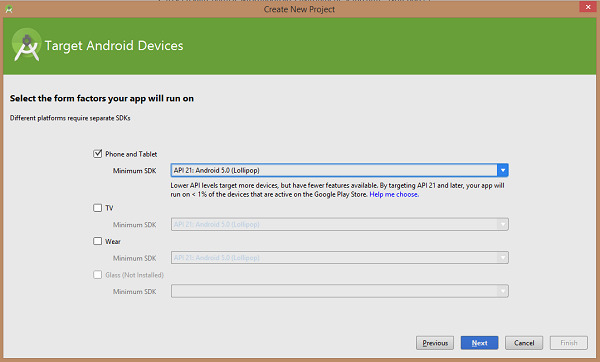 The category for the intent-filter is named android.intent.category.LAUNCHER to indicate that the application can be launched from the device's launcher icon. The @string refers to the strings.xml file explained below. Hence, @string/app_name refers to the app_name string defined in the strings.xml fi le, which is "HelloWorld". Similar way, other strings get populated in the application. 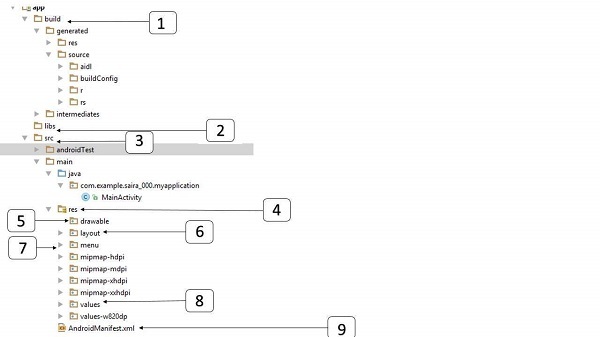 This is an example of simple RelativeLayout which we will study in a separate chapter. 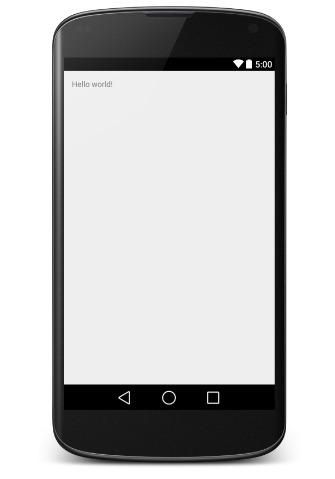 The TextView is an Android control used to build the GUI and it have various attribuites like android:layout_width, android:layout_height etc which are being used to set its width and height etc. The @string refers to the strings.xml file located in the res/values folder. Hence, @string/hello_world refers to the hello string defined in the strings.xml fi le, which is "Hello World!". Congratulations!!! 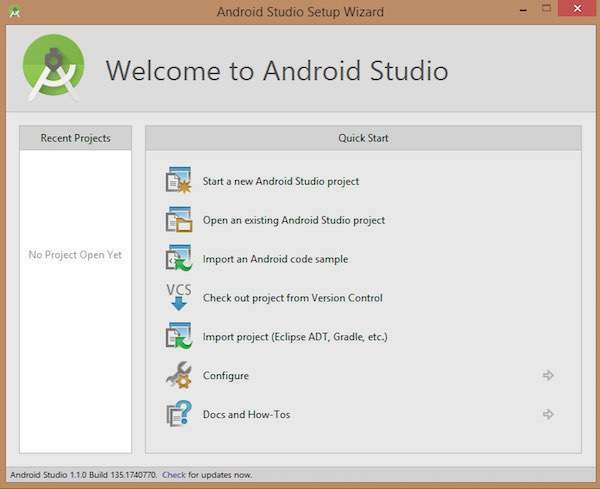 you have developed your first Android Application and now just keep following rest of the tutorial step by step to become a great Android Developer. All the very best.